NWS Binghamton is holding Winter SKYWARN Training classes! NWS has upcoming Winter SKYWARN classes in Montrose, PA, Sayre, PA, Penn Yan, NY, Auburn, NY, and Cortland NY through the 2nd week of December . During these classes we are looking for volunteers to measure and report snowfall to us. Like our spring classes, these are free and open to all ages. The Auburn NY class will be at the Cayuga County Office Building on Genesee St., Wednesday, December 10th from 6:30 To 8:30pm The Auburn class has been canceled because of the weather! They also encourage those who have had previous training to take a refresher class (either basic spring, winter, advanced or flood) every 2 to 3 years. There is plenty of room in all classes so please consider coming out. 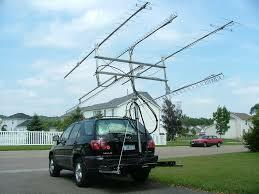 “I am running another experiment and have changed the 53.67 repeater antenna configuration once again. Up until this past Thursday we had been receiving from a 6M dipole antenna up just over 700 feet and transmitting from the "old" bat-wing TV antenna on the top of our tower. We are now both transmitting and receiving (with a duplexer) on the 6M dipole at approximately 700 feet. This may degrade your ability to hear the repeater in fringe areas, but since those fringe areas can’t get in to the repeater, being able to hear it there was of dubious value. Still, the repeater’s receiver is working better than ever, probably because there was some desense that we didn’t realize was being caused by the split antenna arrangement. Thankfully, running duplex into the single antenna is working well, with no cracklies or desense. This set up is much more balanced, meaning that if you can hear it well, it should now be able to hear you. -Kevin - Thanks for all your efforts to bringing us the great KD2SL repeaters in Syracuse! VE Amateur Radio exams in Verona N.Y. Amateur Radio VE exams are being offered in Verona on the third Friday of every month at 7PM. Our next test session is this Friday 21 Nov.
We have been giving tests nearly continuously since 1988! Amateur Radio License Course – Jointly sponsored by the Liverpool Amateur Repeater Club and the Radio Amateurs of Greater Syracuse, this course covers the material needed to pass the FCC test and become licensed as a Technician class ham. Beginning in mid-January, the course will meet weekly at the Methodist Church in Liverpool. There is no charge for the course and ARRL study manuals will be available at the discounted Instructor’s price. Pre-registration is required for the course, please contact N2TKX, Steve Auyer, Instructor at n2tkx@arrl.net. Classes are planned for Tuesdays, January 13, 2015—March 3, 2015, 5:00pm—7:00pm. Between the licensing course and the course to help news hams get involved with the hobby, these two courses are a great way to promote amateur radio in the community. New York State Police Troop T and citizen volunteers conducted their 38th annual "Pumpkin Patrol" aimed at preventing Halloween pranks and protecting motorists along the New York State Thruway on October 30th and 31st. In Onondaga County over 20 amateur radio operators manned the bridges on both nights. In Cayuga County over 10 amateur radio operators manned the bridges on Friday night. Amateur Radio operators in almost every upstate county along the Thruway participated again this year.Thanks to all who gave up their evenings for this important project. 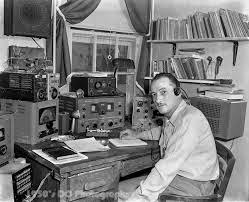 Patrols consisted of Troop T officers, as well as local radio clubs, and amateur radio operators. This year, volunteer groups from 15 different organizations spanning across 19 counties in New York State joined in the Pumpkin Patrol safety initiative. Volunteers assisting Troop T monitored Thruway overpasses and reported any unusual activity to State Police or local law enforcement. The Pumpkin Patrol was initiated as a volunteer effort in 1976 by Katherine St. Jacques in Fort Johnson, Montgomery County. Ms. St. Jacques was talking to a truck driver on her citizens band radio when the windshield of his vehicle was struck by an object thrown from an overpass. The driver sustained injuries from the broken glass of his windshield. St. Jacques and two companions decided to stand watch on the three over passes that crossed the Thruway in the Fort Johnson area. The State Police assumed control of the Pumpkin Patrol in 1990 as part of the State Police crime prevention effort. More than 300 volunteers will participate in this year’s safety efforts. - Press release from the NY State Police Troop T Public Information Officer Trooper Matthew Izbicki.